I sometimes start with a basic plot line, but a lot of times, it is free writing and something comes out of it. On average how long does it take you to finish a flash fiction? Any tips for authors who are trying to write flash fiction? I try to make things as cohesive as I can, but I also realize that my style is intense, difficult and quite manic. 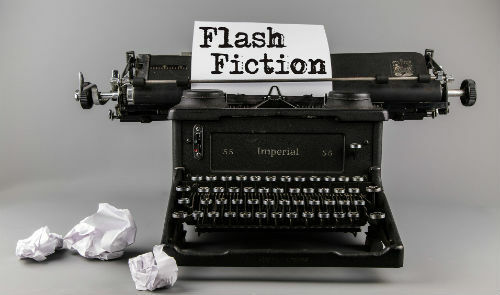 Flash fiction comes easy to me, but if I were to give advice to other writer’ how to write flash fiction, I would tell them to have a basic plot, consume fine drink and let your ideas take you where they are going to take you. Fear nothing, get the idea down and go back later and refine.